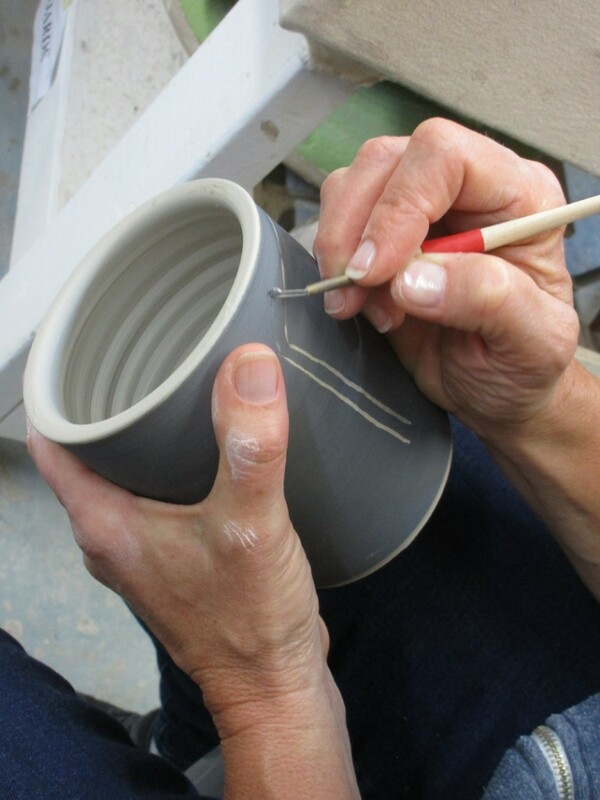 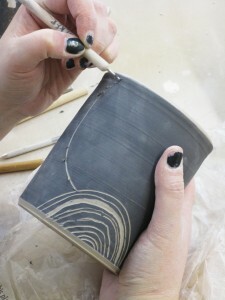 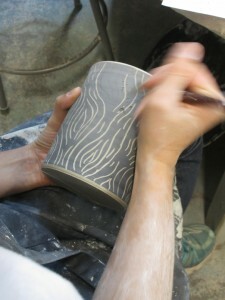 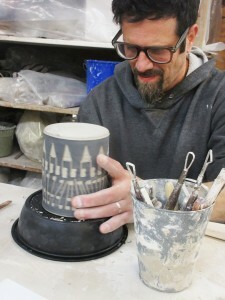 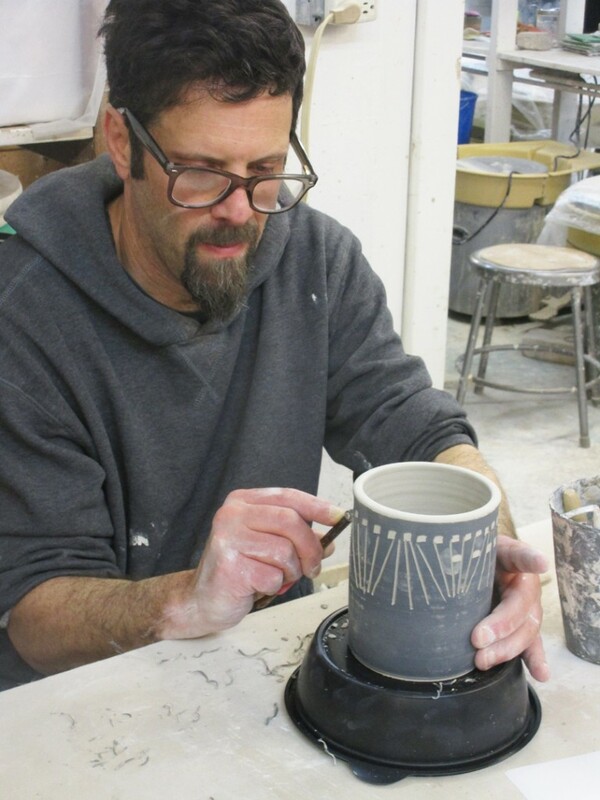 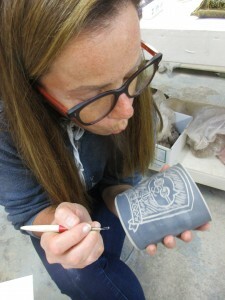 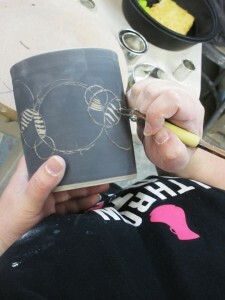 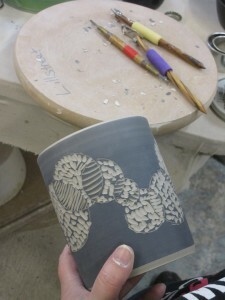 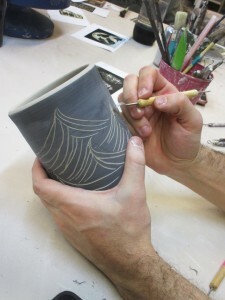 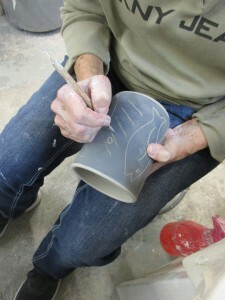 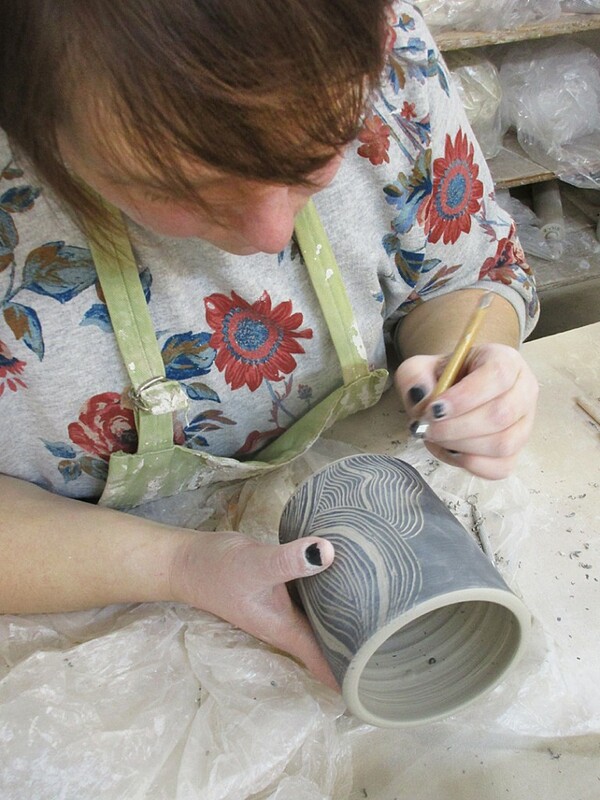 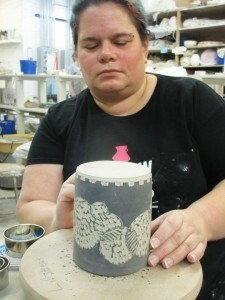 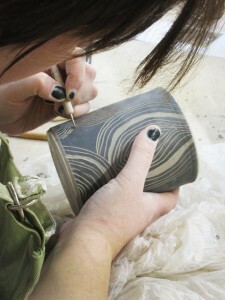 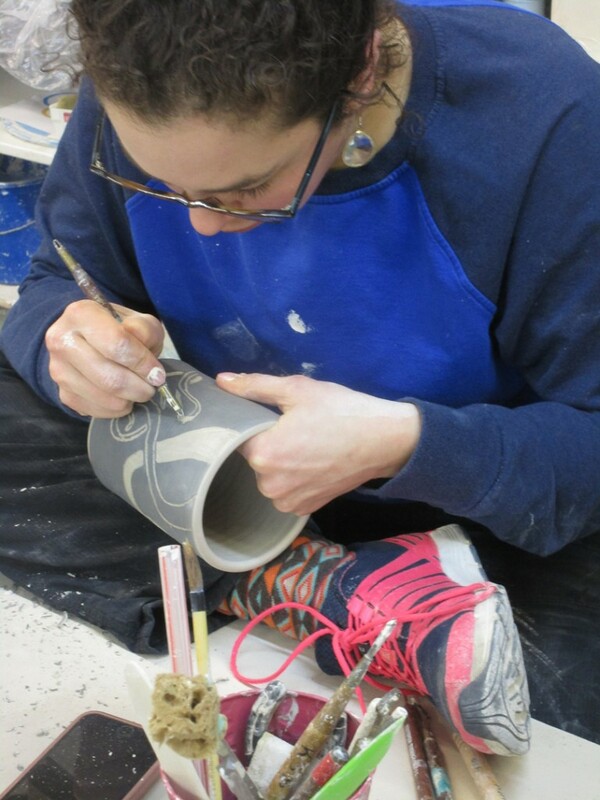 Last week in my POTTERY THROWDOWN class, I surprised my students with the “SGRAFFITO SURPRISE”!!! 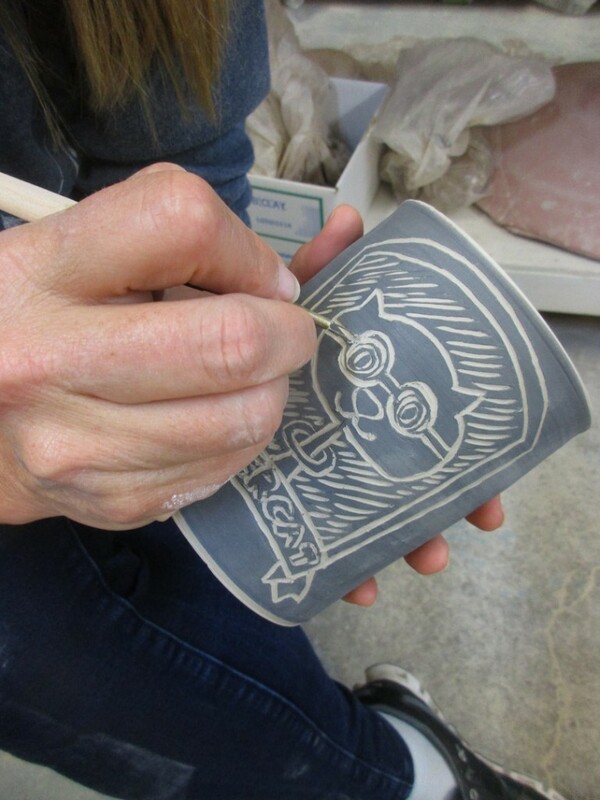 We talked briefly about sgraffito and looked at some examples. 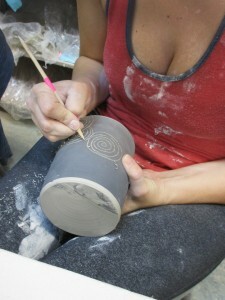 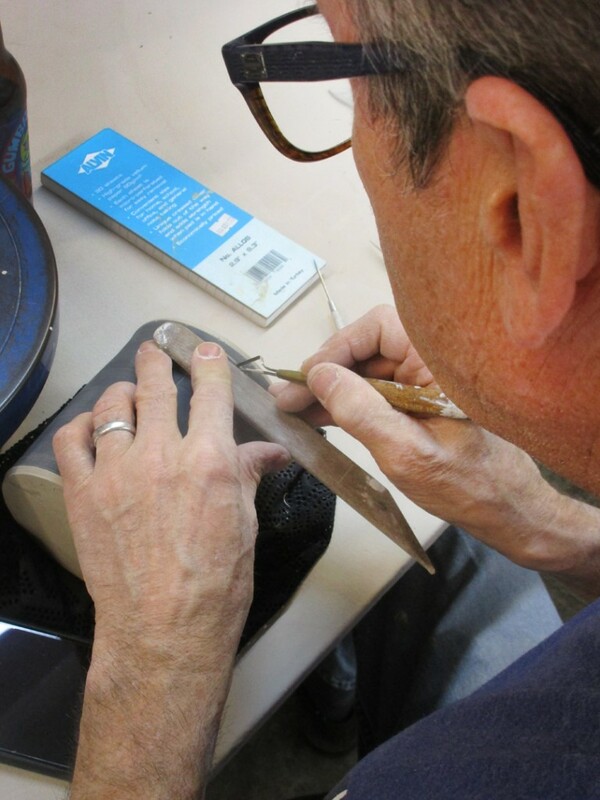 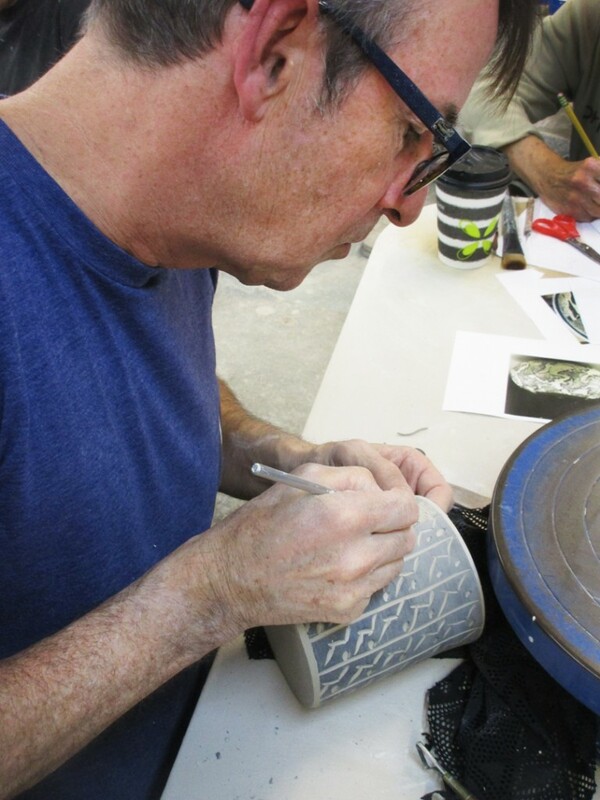 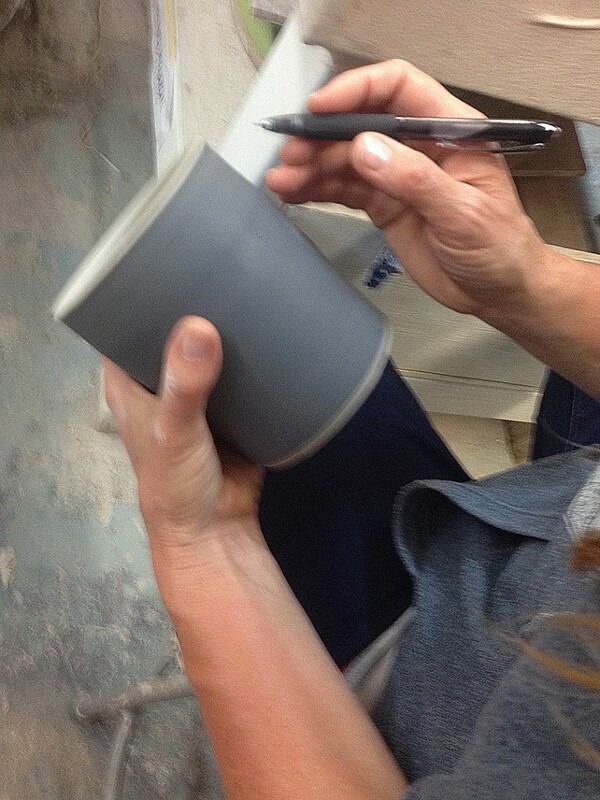 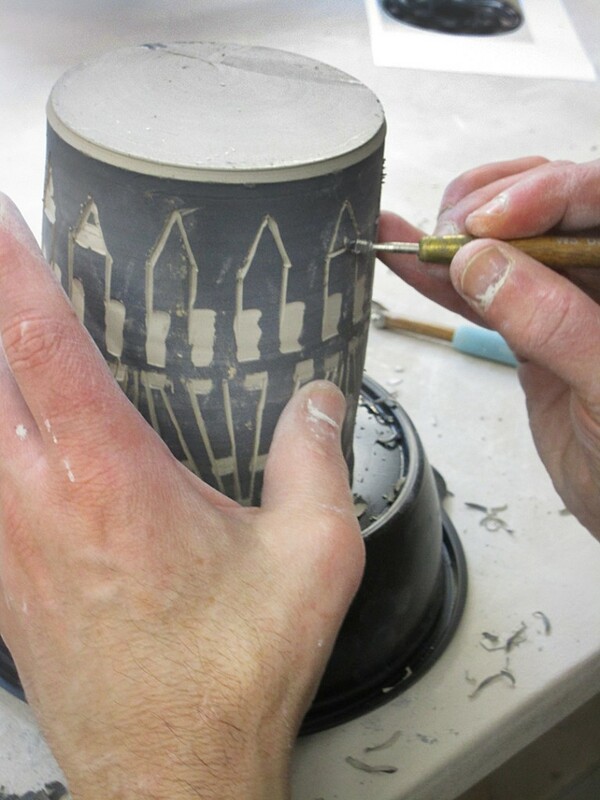 And then I “sprung it on them”… one hour to decorate a black slip covered cylinder I had prepped prior to class. 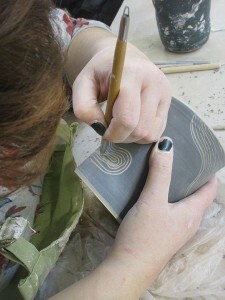 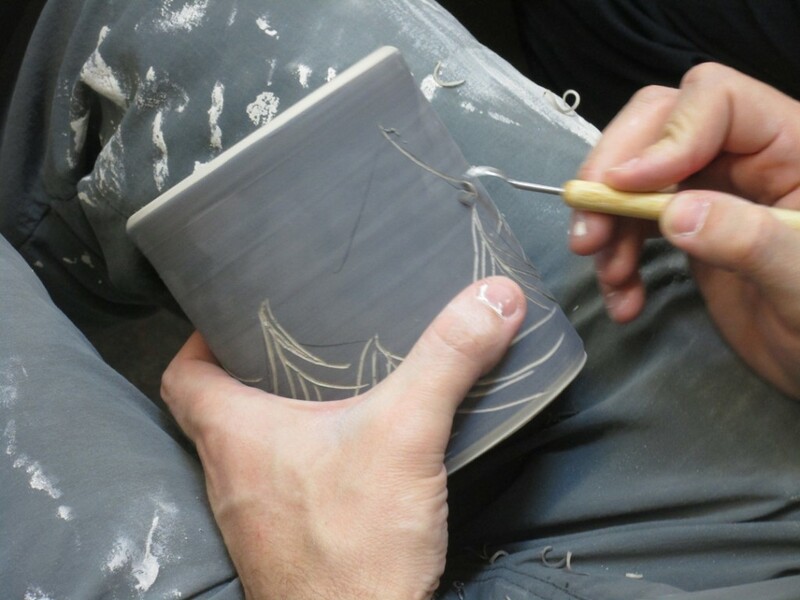 So much to watch how each of them approached the challenge… and tackled the blank canvas with some sharp carving tools.